At Siemensstraße Nummer 7, three companies that have been working closely for many years and with great success, are united under one roof. All projects are controlled and coordinated centrally from here. The three companies work together intensively in the field of renewable energies - in particular the discipline of solar electricity generation. This union results in a perfect trio consisting of planning, financing and construction for the execution of globally-supervised projects. The TAUBER-SOLAR Group operates solar units for rooftops and open landscapes with a total output of 200 megawatts of solar power globally. The renowned auditing house Falk & Co with its headquarters in Heidelberg assumes all tax-related tasks and, furthermore, also supervises individuals and companies. Finanzhaus Main-Tauber as the third member of the union provides financial and investment consultation as well as insurance for solar projects. All three businesses work together closely on the basis of trust. The short distances facilitate the fast and concentrated supervision of individual projects and clients. The companies Servicezentrum TAUBER-SOLAR GmbH and TAUBER-SOLAR Energietechnik GmbH are located in the direct vicinity. This allows for all technical details and support to be combined directly. This form of collaboration has proven to be both effective and unique. The success enjoyed together by all three companies over the years has proven them right. The office building was constructed with three floors spanning 820 m2. Every floor was designed individually, and completely in line with the needs of the companies. The building was also constructed using the most modern energy standards. 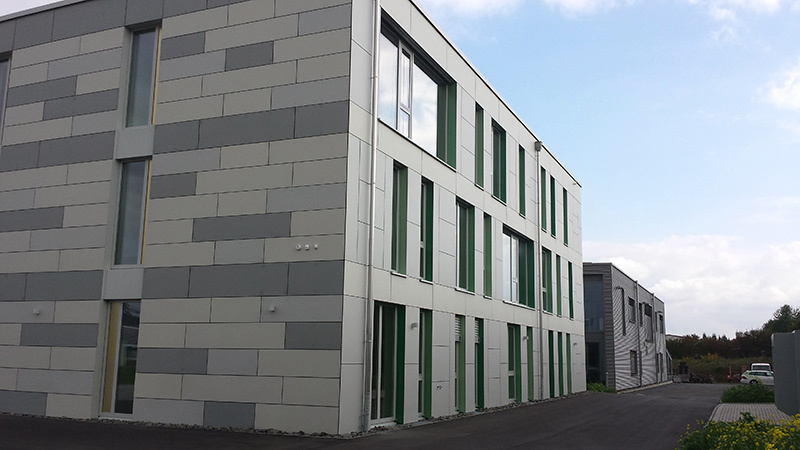 In addition to the photovoltaic system on the roof, it is also surrounded with a next-generation external façade which is modern in its appearance and insulates the building perfectly, depending on the time of year, from heat and cold. 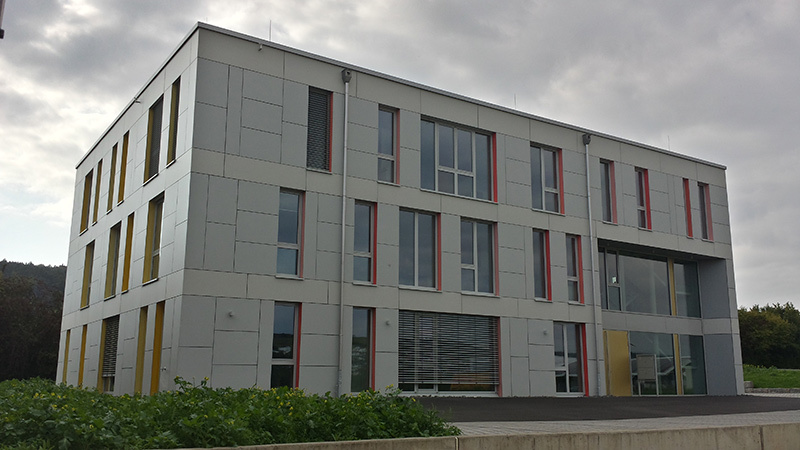 As a so-called "plus energy house", the building generates more energy than it consumes, meaning that it makes an advanced, future-oriented contribution to the reduction in CO2 levels.